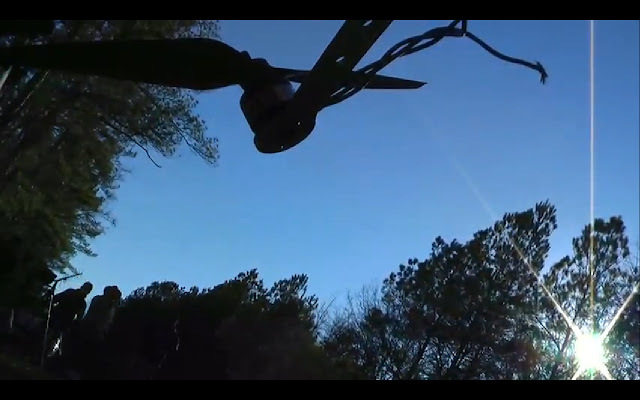 Yesterday I wrote that animal rights activists in Ehrhardt, S.C. who had been attempting to film a hunting event had their drone shot out of the sky. Michael Kobliska, an activist associated with SHARK (SHowing Animals Respect and Kindness), said that the group had been operating its drone for about 18 months before their drone went down near the Broxton Bridge Plantation. 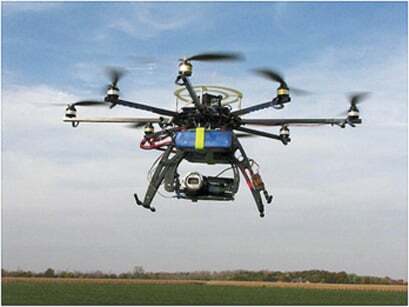 The drone, Mikrokopter Oktokopter, suffered damage to wiring to one of its motors, which caused an electrical fault. This forced the Mikrokopter into a semi-controlled fall, in which it sustained further damage. In an email, Kobliska said his group was preparing to launch the drone when a sheriff's deputy arrived and threatened to arrest the activists. "He couldn't quote any statutes, but said we would be violating FAA rules and anyone from our group in the area when the machine flew would be detained until the FAA arrived and presumably took us into their custody. We took this as just nonsensical intimidation and decided to fly anyways." "It was a very short flight. The shooters had hidden themselves in the woods and as soon as the machine was up to about 150' they started shooting. It should be noted they were shooting over a roadway, illegal in SC. As we observed later, the machine took a shot to some of the wiring for one of the motors. This caused the machine to lose some thrust, but we could still control it. Since the machine was basically overhead it came back down to where it launched from. It had a hard landing and bent the gear up a bit." Kobliska said it wasn't the first time their Mikrocopter was shot down. "About 13 months ago we had another drone shot down in Pennsylvania at another pigeon shoot - that machine is still residing in a tree and is the subject of an ongoing lawsuit. We've also been shot at on other occasions." Activists posted on-board footage of that incident on Youtube as well, in which activists said that the property owner was told by local law enforcement officials to return the drone. In that video, the activists said the drone cost about $8,000. Here's footage of the Broxton Bridge Plantation incident, both on-board and from the ground. Beginning at the 2-minute mark, five pops can be heard in the audio, presumably from small-arms fire. One of the microkopter's rotors appears to slow and then stop functioning, at which point the drone enters a semi-controlled descent and impacts the ground. "The total damage in cost to the craft is around two to three hundred dollars. At the time of the report the plantation gates was closed and locked. I was unable to speak to anyone located at the plantation." 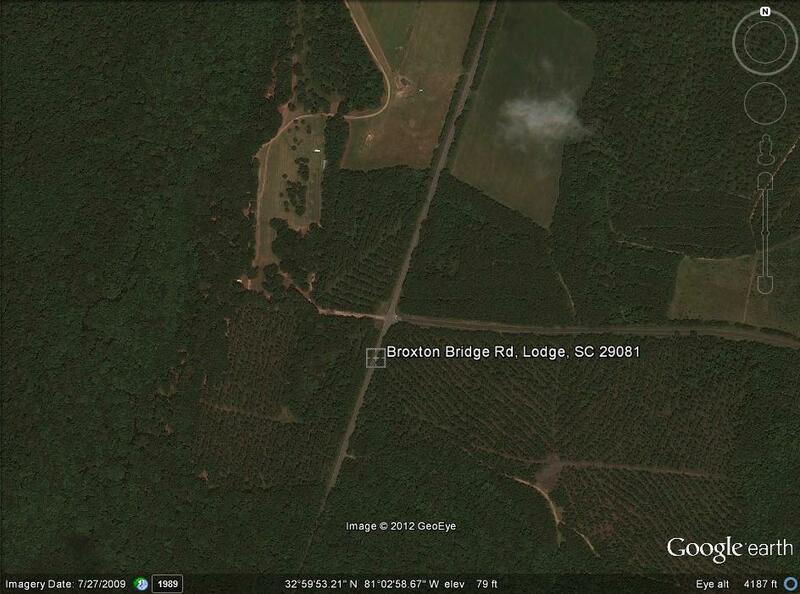 Google Earth view of the approximate site of the Broxton Bridge Plantation, which covers nearly 7,000 acres of hunting grounds. Much of the cutting-edge development with small drones is not being done by the media or journalists, but rather activists who use the technology to bring awareness to their cause. Protesters associated with the Occupy movement hacked small, off-the-shelf RC drones to bring a global audience to the front lines of their protests. Anti-whaling activists now use drones to monitor the movement and activity of whaling vessels. The animal rights group SHARK -- that's SHowing Animals Respect and Kindness -- is one of the newest activist groups to use drone technology. It's also the first activist group to have the dubious distinction of having a drone shot down in mid-flight. The Times and Democrat of Orangeburg, S.C., reported yesterday that while trying to cover a pigeon shoot from the sky, hunters took exception to the SHARK drone and pelted it with birdshot. According to a press release from the activists, law enforcement officers and an attorney attempted to convince SHARK not to launch the drone. When the animal rights group launched the drone, shots were fired. "Seconds after it hit the air, numerous shots rang out," Steve Hindi, president of SHARK, said a press release. "As an act of revenge for us shutting down the pigeon slaughter, they had shot down our copter." In the press release, Hindi said the shooters fled the scene riding "small motorized vehicles." The local sheriff's office filed a malicious damage to property incident report, according to the T&D. Hindi wrote that damage to the drone was between $200 to $300. The SHARK press release said the group would try to film pigeon shooting again next year.